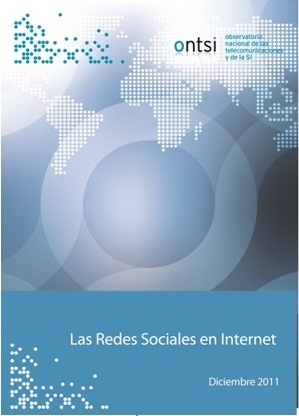 The first study on Social Networks in Spain made by the Spanish National Observatory for Telecommunications and the Information Society (ONTSI) is structured in three well-differentiated parts. In the first part of the report named “Social Networks on the Internet, Concepts and Research on Existing Data Sources” the different typologies of social networks are defined, conceptualised and classified, and their impact is measured. For that purpose, the available data from other reports on penetration rates and use habits are presented.The second part of the report is a survey about knowledge and use of social networks in Spain, together with interviews to experts on their opinions about this phenomenon. The objective of the research was to determine the user profile, through segmentation based on different uses and attitudes towards social networks and the changes in relationships and ways of interaction that they have triggered. The results obtained make it possible to know, among other aspects, the degree of activity of users with profiles, the connection time and number of contacts, and the distance among users. These results are interesting for the development of eCommerce and eGovernment, for example.